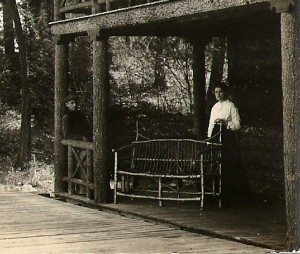 While researching the Raquette Lake Railway, I found several historical traditions that were repeatedly used by authors in their works regarding the railroad’s origin. Below I examine these traditions and then provide my research on its origin from period correspondence and historical sources, including the rationale from the words of its builder, Collis P. Huntington. » Continue Reading. 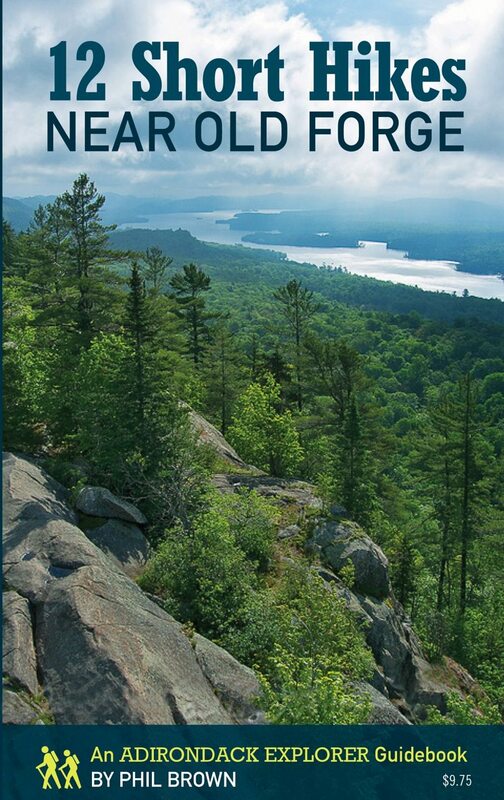 The Adirondack Explorer has just published its second pocket-size guidebook, 12 Short Hikes Near Old Forge. 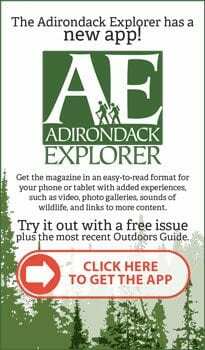 The book is similar in format and price ($9.75) to the Explorer’s first guidebook, 12 Short Hikes Near Lake Placid, which was published last year. 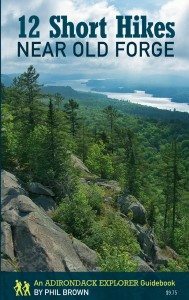 For the second book, we chose a dozen hikes to summits, ponds, and rivers in the vicinity of Old Forge and Inlet. 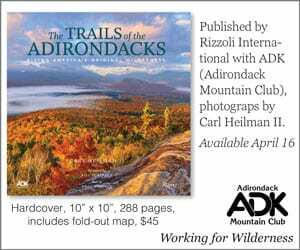 Each chapter includes detailed trail descriptions, GPS coordinates and driving directions for the trailhead, hand-drawn maps by local artist Nancy Bernstein, and photos by a variety of veteran photographers. We also rank the difficulty and scenic beauty of the hikes. » Continue Reading. 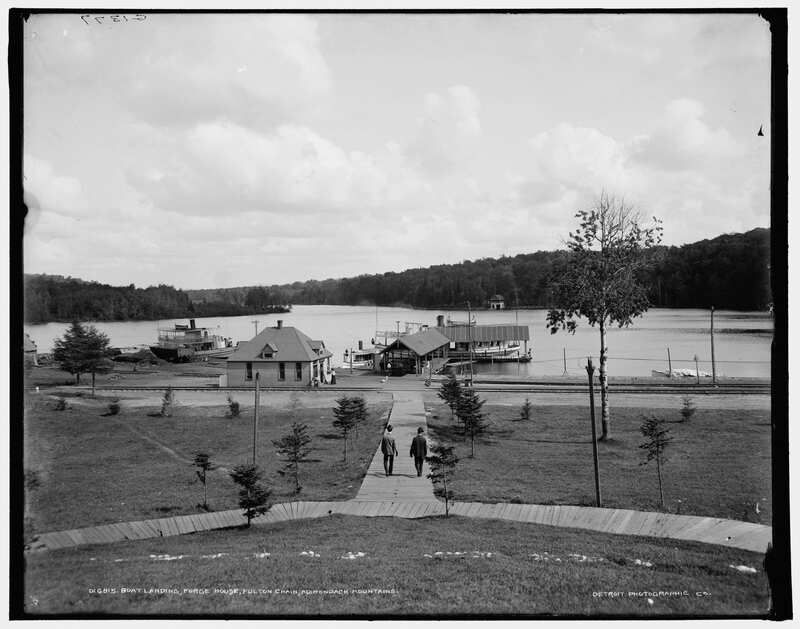 In March, 1889, a group of Jefferson County business men and a Thousand Islands cigarette magnate (Charles G. Emery of Calumet Island Castle) purchased a block of overt 6,000 acres extending from Fourth to Seventh Lakes over to Limekiln Lake. 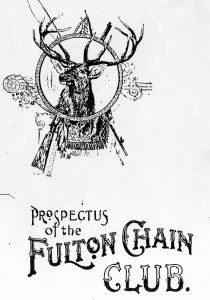 They formed a club, the Fulton Chain Club, and advertised the region to attract wealthy investors, but failed at this venture and began selling lots to anyone. Within the Prospectus for this club is a description of the Fulton Chain region containing a valuable snapshot in time, 1892, of this area’s history. 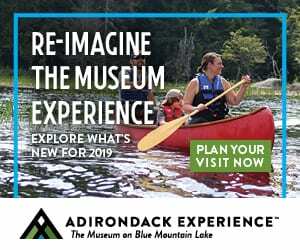 A copy of the prospectus is held by the Adirondack Museum, from which the excerpts below were taken (my comments are in brackets): » Continue Reading. 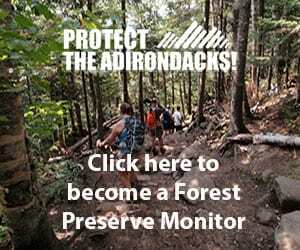 The Wildlife Conservation Society’s (WCS’s) Cycle Adirondacks bicycle touring event will take place August 23-29, 2015. 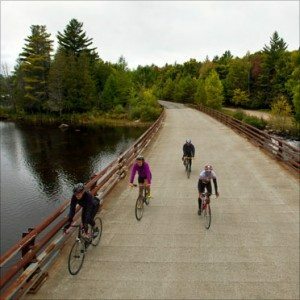 During the ride, cyclists will pedal amid the forests, lakes, and streams that make the Adirondack region a world-class destination. Wildlife experts will be on hand to serve as wildlife and natural history guides. 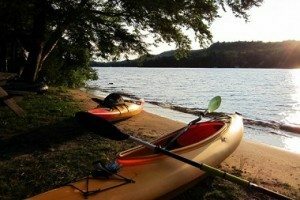 This year’s tour starts and ends in Saranac Lake and includes overnight stops in Star Lake, Boonville, Camden, Old Forge and Long Lake. There will be a extra day in Old Forge where riders can pedal an optional route or take the day off the bike and visit Old Forge and Inlet. 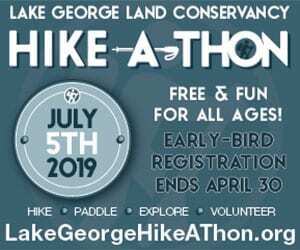 Registration includes three catered gourmet meals daily, free beer tastings each night, nightly live entertainment, a wellness area offering free massage, local shuttle services, fully stocked rest stops, prime camping spots, hot showers, baggage service, on-course safety support, activities for traveling companions not riding, and more. » Continue Reading. 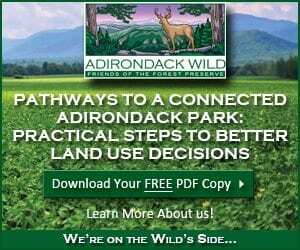 Changes to public use facilities at the Fourth Lake Day-Use Area and enhancements to the Alger Island Campground are proposed under the New York State Department of Environmental Conservation’s (DEC) draft Alger Island Campground Unit Management Plan (UMP). 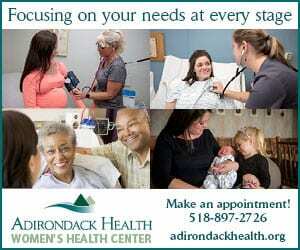 The day-use area and campground are located in the Herkimer County Town of Webb. 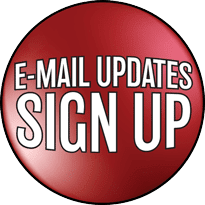 The public is invited to comment on the draft plan by April 30th. 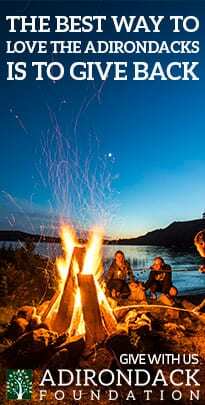 The plan is expected to guide management of the campground and day-use area for the next five years. » Continue Reading. Approaching the “landing” at the Levi Lumber job site in the Adirondack League Club is akin to landing on another planet. The drive down narrow, snow-covered roads makes one think they’ve gotten close to the end of the earth…until a large logging truck is coming from the other direction. But there are plowed turnarounds and pull-offs; safety is considered every step of the way. After twists and turns that seem to lead to nowhere, there is a clearing full of very large machinery and equipment, and a red school bus. On the school bus are the Levi brothers; John, Jr., Dan and Jerry, eating lunch together as they have done every day for most of their lives. 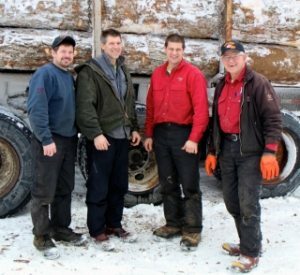 Their father, John, Sr., is on the top of a large truck securing logs. » Continue Reading. Forests, the final frontier. These are the voyages of forest pest surveyors. They’re lifelong mission: to explore strange new woodlands, to seek out invasive insects and pests that harm trees, to boldly go where no pest surveyor has gone before. Invasive insects are to conservationists like Romulans are to Vulcans. 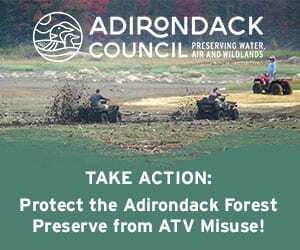 Emerald ash borer, Asian longhorned beetle, hemlock woolly adelgid, and balsam woolly adelgid threaten the economy with costly tree removal, environment with adverse impacts to forest health, and public safety with dead limbs that fall on cars and homes. They found their way from their Eurasian home range to the United States in nursery stock and wood packing materials. Without the natural checks and balances found on their home turf, they reproduce as fast as tribbles. 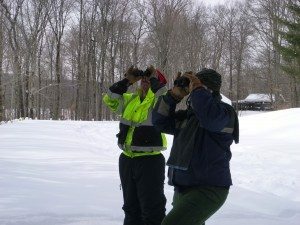 Forest pest surveys are important because early detection leads to rapid response and better management options. » Continue Reading. 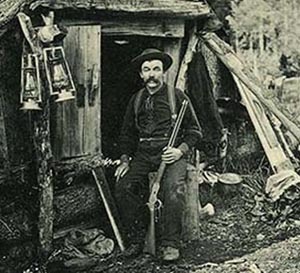 Friday marks the 100th anniversary of the death of Seymour, who made the wilderness between Inlet and Lake Pleasant his home from the 1860s until his death in Newton’s Corners (now Speculator) on February 27, 1915. 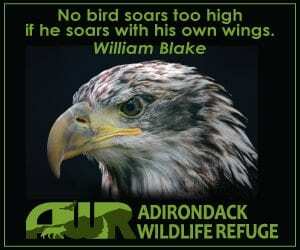 Seymour’s name became legend after the 1952 biography Adirondack French Louie: Life in the North Woods by Utica author Harvey Dunham, which portrayed him as a man of hard work, determination and humor. » Continue Reading. 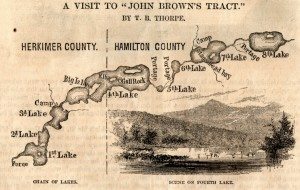 This is part two of my look at the History of Seventh Lake. According to a deed dated May 2, 1898, Duane Norton purchased sublots 48,49, 50, 51 & 52, lots 49-50 and part of 51 in Great Lot 8 and part of lot 51 and all of 52 in Great Lot 19, all being still then referred to as the “Munn Tract” purchased by James Galvin’s group in 1889. An additional 5 acres were purchased by Norton to the rear of these lots. Who was Duane Norton? » Continue Reading. 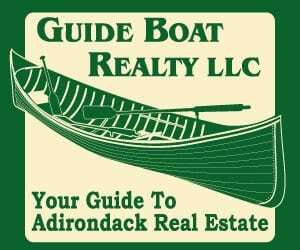 Until Robert Maloney’s 1989 history, A Backward Look at 6th and 7th Lakes, local histories of the Fulton Chain region had mostly concentrated on the growth and development of the more populated First through Fourth Lakes of the chain. 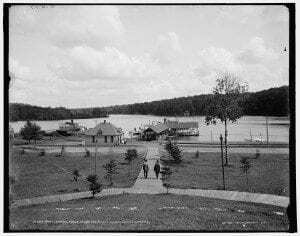 Though my primary subject here is the popular hotel that existed on the north shore of Seventh Lake, I wanted to also supplement Mr. Maloney’s information with additional early history about Seventh Lake itself. » Continue Reading. Long Lake is ready to celebrate the snowy season with its annual Winter Carnival this Saturday, January 17. The town will be flooded with royalty, bonfires and fireworks, with other events tucked in between. 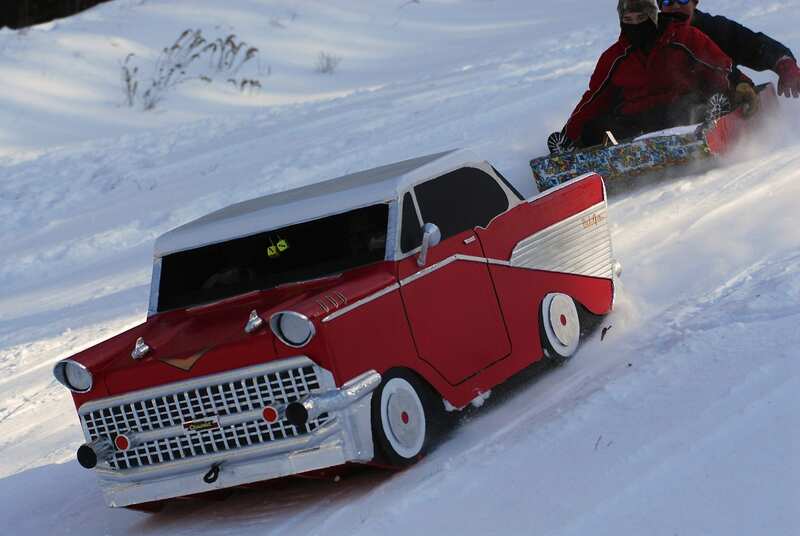 The Long Lake Winter Carnival also kicks off the first leg of the Adirondack Cardboard Sled Race. 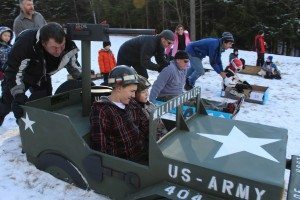 According to Indian Lake’s Events Activities Coordinator Vonnie Liddle , the Adirondack Cardboard Sled Circuit is in its third year. Participates need to race in three out of the five local venues with a trophy going to the overall winner. 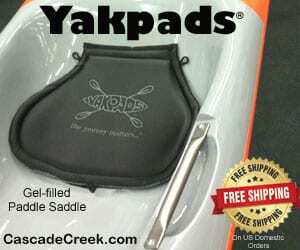 The races are free to all and the sleds can be assembled ahead of time. Please check each venue for rules and regulations. » Continue Reading. 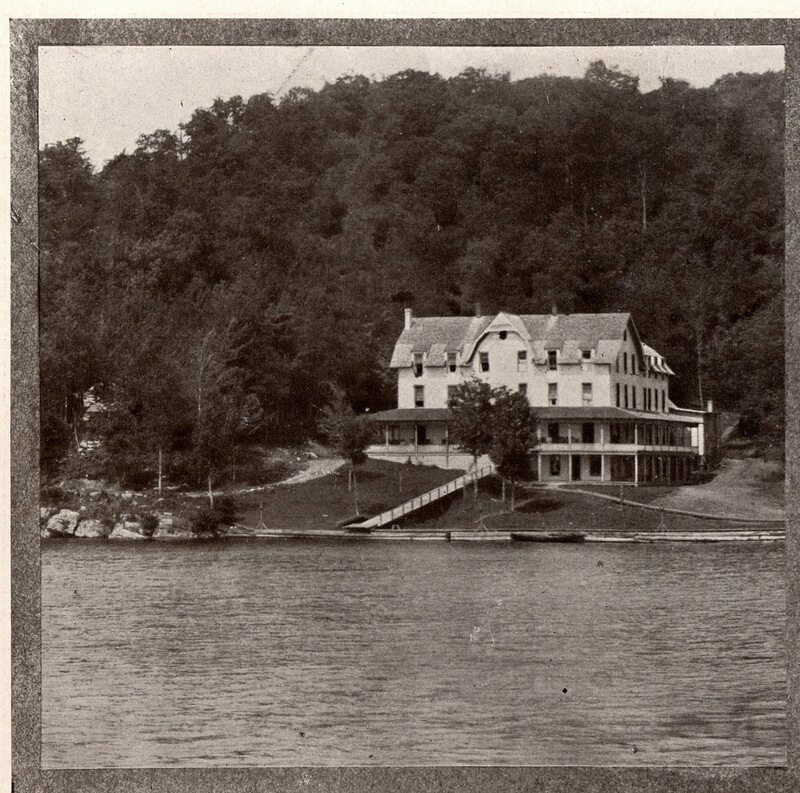 In 1896, Charles O’Hara had come from Glenfield and built Inlet Inn along the channel from Fifth Lake on land purchased from David Frank Sperry in 1897, operating it as a boarding house. In November 1907, O’Hara purchased the Arrowhead from Albert C. Boshart and operated both hotels. 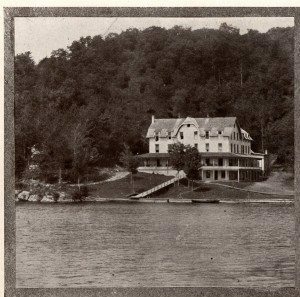 But on the morning of September 23, 1913, the hotel originally established in 1893 on the shores at the head of Fourth Lake by Fred Hess, renamed in 1898 the Arrowhead by William Moshier, burned to the ground. While determining whether to rebuild, O’Hara leased the Eagle Bay Hotel for the 1914 and 1915 seasons. » Continue Reading. For many property owners in Inlet, the abstract of title invariably lists James and Jennie Galvin as early, if not the first, owners. But until I began researching this narrative, I believed, as have other Inlet landowners and early 20th century newspapers, that the Galvins were sole owners of the 6,000 acres surrounding the Head of Fourth Lake. I learned that Galvin was an agent for the Fulton Chain Club and it was through his efforts that the land was sold for hotels and camps, and ultimately to the first residents of Inlet. James Galvin, the son of an Irish immigrant, was born in 1835 in Wilna, Jefferson County. His father Edward was a successful farmer and also managed a prosperous charcoal production trade. James was listed as a farmhand and a farmer on the 1850 and 1860 censuses, respectively, but from the age of fifteen, he dealt in horses and cattle and became successful in buying stock both in New York and Canada. He commanded large credit with banks in both regions. » Continue Reading. 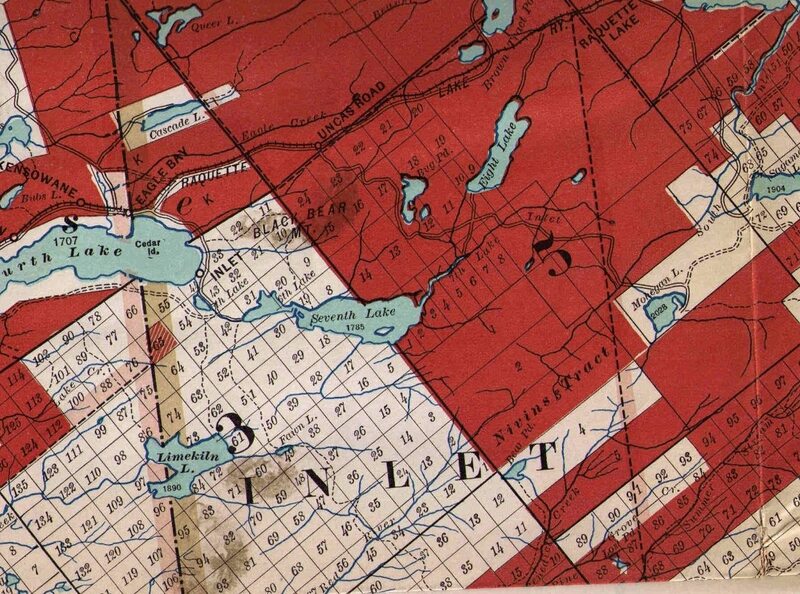 On November 27, 1901, the Hamilton County Board of Supervisors unanimously passed an act that created a new town from northern Morehouse, with the South Branch of the Moose River dividing the two towns. Afterwards, Inlet held its first town meeting on January 14, 1902. 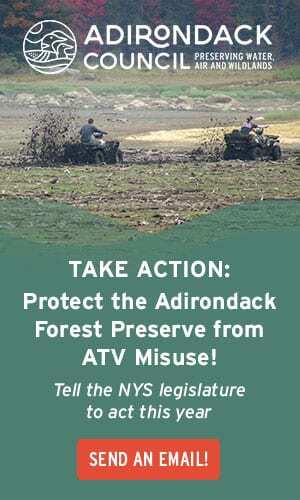 Presently (2009), the Adirondack Park Agency reports that Inlet consists of 42,446 acres of which just under 4,000 acres is not state land. 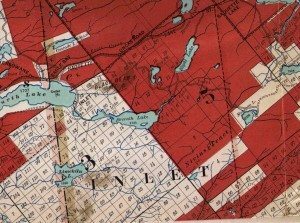 But this narrative is about the over 6,000 acres in the northerly Part of Township 3 of the Moose River Tract surrounding the “Head of Fourth Lake”, as Inlet was formerly known, and the connections among the speculators who owned it prior to Inlet’s creation. This square tract covers the lands from Fourth Lake to Seventh Lakes down to Limekiln Lake at its southwest corner. » Continue Reading.